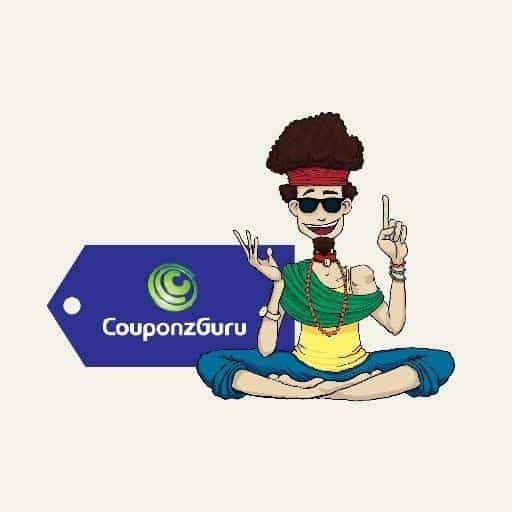 CouponzGuru has been helping online buyers by providing latest coupons and deals which can be applied on all the major e-commerce sites in India and Singapore. Since its inception on 2011, this leading coupon site in India has got huge fans for its genuine coupons and deals. What got our attention ? CouponZGuru site is well-organized and perfectly categorized based on the e-commerce stores like Amazon, eBay, Reddif, Flipkart etc. Besides this on the top menu they categorized the deals based on the type of item category/product category which the online buyer is looking for. In addition to all these stuff what really caught our attention is its real time update of the deals and coupons. When ever the coupon is expired, the site will automatically shows the working coupon (If any) and marks the expired coupon as expired-which reduces half-of our efforts in trying every coupon. The homepage of the site updates regularly with the latest deals and coupons in every aspect ( like in the stores, category, deals for the products). What most of the Coupon sites do ? Filling the site with pop-up ads, when ever you try to click on any deal or coupon, pop-up ads will come, even if the user is on ad-blocker they will force them to disable it in order to show the coupon. In most of the cases those coupons are fake and hardly copied from other major sites. Some other sites filled the deals with their affiliate links and force the users in making them to buy from their affiliate links or else they’ll mention the deal won’t work. What CouponzGuru is making a difference from others ? We didn’t find any of the above mentioned methods that can be seen in some of the coupons site. So what exactly CouponzGuru is doing and how it get benefited from this ? Well, What Wikipedia do ? It’s a free knowledge resource providing every information they know for the online readers; like the same, as the internet marketing is growing rapidly, CouponzGuru team made an initiative and tried to grab every online deals, coupons and placed them in a perfect way that even a new online shopper can understand on how to use it. Actually the team behind the CouponzGuru is working 24/7 in checking the coupons, deals manually to make sure that they work. As like other sites they do use the affiliate links but with out cloaking and there are no annoying popup ads or forced re-directions. How they get benefit from this ? Technically speaking they get benefited with affiliate commission and from other ad-sources but what we see is their dedication in providing genuine deals, coupons and helping an online buyer. Their tag line “A penny saved is a Penny earned” perfectly suites for the site as it’s been a great help for the online shoppers.